Hey everyone, Now that Arthur is done, we all wait with great anticipation for next week’s playtest sessions, where people will have the opportunity to play through the whole of Arthur’s story for the first time. It’s very important for us to witness players’ reactions to the new flow and to check that what we implemented resonates well with what players expect. You’ll see that most of the team has spent the week on either final bug-fixing for Arthur or polishing for the other characters. Well, the part of the team that has not been hit by a mysterious plague (ain’t winter grand? ), that is. Art Team Marc-André This week I did polishing work on the Doctor Headquarters. I laid out a bunch of objects to make it feel less empty and more like a place. I also did some lighting tweaks and bug fixing pertaining to that, and created some new meshes such as an operation table. PH Hi! This week I’ve got a good time on weapons. Team gave me the opportunity to imagine 2 flaming weapons. So I quickly sketched some crazy ideas and I assembled pieces in 3D to get a first look. Since it’s heavily gameplay, there’s lots of back and forth in the design. I’m trying to get something cool that the player would love to use and feel powerful. But what’s the definition of “cool” in video game? What is “cool” in We Happy Few? It’s more complicated than expected. In the end, I think it will need additional work to come up with awesome flaming weapons but here you are some 3D concepts : Animation Jules Hi. So this week I’ve continued to polish our combat animation. All of the final tweaks are done for the attack of the NPC. It’s looking great and I’m really happy about that. I think we reach our goal, the wind-up is clear and the attack is appropriate for our wellie and wastrel. What I mean by appropriate being, when you start a fight in the street of Wellington Wells, you have the real feeling of being attacked by a crowd of random people who want you dead. What we didn’t want was during the fight, you have the feeling of fighting against some people who are experts in combat. Also, I’ve started to polish the taunt animation for the NPC when they engage in the fight. This week I am sharing with you the wastrel heavy attack. See you next week! Mike Sup folks! Not much to report this week, I’m done with cutscenes for now and am back to animation chains. Trying to make your encounters/conversations with our lovely folks as interesting as possible. It’s a nice little respite for the hectic schedule from the past two weeks. Well that’s it from me, tune in next week, Same Bat Time, Same Bat Channel! Vincent Ahoy! This week has been mainly about polish and realisation. That’s when you take a functional scene or encounter, and try to make it flow a bit more and look more natural. All that without breaking it, hopefully. I also did some more general tweaks and bug fixing, like retargeting the sleeping pose for female characters. Up until now, they used the same animation as male, and as both genders models are not made quite the same, the result was quite bad. That’s the kind of obvious but non-essential things that get to be tended to at the end of projects. It is super satisfying to finally take care of those little matters, that, as a whole, will make the experience a little bit more immersive. Programming Michael The priority this week was the playtest build, which means making sure that we can provide a version of the game for people to play all the way through Arthur’s story, without getting trapped by bugs or broken logic. This means tasks like: debugging why some quest rewards aren’t given, and some quests aren’t showing up when they should be active, or making sure you can’t shove an important NPC through a wall while you’re fighting them. In between the firefighting there was time to focus on less pressing matters like why the throwing arc visualisation doesn’t work for heavy items. The possibility of having to look into the physics system is always a terrifying contemplation. Fortunately, after drawing lots of debug lines and dots on the screen to show the difference between the arc and reality I was able to track it down to something in the game code. Seemed we were adding extra gravity too early, physics code blackhole avoided for another week. Serge This week has been all about population management to increase the density of characters in the village's streets! The challenge here is to have more NPC without creating performance issue so I started by pushing the system to its limit in order to stress the mechanism that choose which characters should be updated or paused. That decision is based on many factors like the importance of a character related to the gameplay or his visibility on screen (to only name a few of the information we use to score its relevance). With the help of our quality assurance team and game designer, we will tweak the size of the targeted population to find the best equilibrium between realization (for which more is better) and performance (which is quite the opposite, less is better). That's just a hint at the kind of technical challenges we have in real-time entertainment industries! Design Roxanne This week I worked on balancing the loot in cellars and other uncovered places. I also did some balancing on the weapon side and made the wastrels and wellies able to block attacks. Mostly, bug fixing and balancing! Thanks for tuning in. Compulsion team. Hello! We are Compulsion Games. We are an independent videogame developer based in Montreal, Canada. Our first game, Contrast, debuted in 2013 and told the story of a little girl and her imaginary friend. We are currently hard at work on our second game, We Happy Few, which is currently in Early Access on Steam and Game Preview on Xbox One. We work on creative, original, high-quality experiences and are financially independent. We are a boutique team of industry veterans, who trust and respect each other and love our craft. 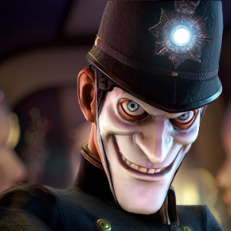 We are looking for a Generalist Programmer to come and work with us on We Happy Few, an award-winning, dystopian 1960s survival game about escaping from a delusional English society that is completely obsessed with happiness. We Happy Few is a blend of a procedurally generated systemic gameplay and a linear story with scripted elements. We are looking for someone who: - loves games, - can work directly with art, animation, and design teams to help in their realization, - can extend our story, and moment-to-moment systems and pipelines to help create a compelling game experience, - can work on code optimization to improve the game’s performance, - can participate as part of the design and tech team to evaluate and improve the game as a whole through constructive criticism and creative contributions, and - can work and share with other industry veterans who are passionate about their craft. The ideal person for the job would: - have a minimum of 3 years of industry experience working on PC or console games, - have a strong understanding of Unreal Engine 4, - play games regularly and understand the fundamentals of what makes them work, - be technically strong and willing to work closely with artists, designers and animators for this role, and - be looking to join a top-level and creative independent team. Provided you have at least 3 years of experience in console/PC development, we are flexible about experience level. It’s important to us to find the right person, not fit you in a box, so you could be very senior or an intermediate programmer. We like to encourage generalism, but if you are an experienced specialist with a broad background, we will also be happy to talk to you. This is a full time role at our studio in Montreal, Canada. Salary will be discussed based on experience. If that all sounds like you, then we would love you to come and work with us. Please send us an email at jobs@compulsiongames.com, including a CV and examples of recent work. Hello! We are Compulsion Games, an independent videogame developer based in Montreal, Canada. Our first game, Contrast, debuted in 2013 and told the story of a little girl and her imaginary friend. Our second, We Happy Few, is currently in Early Access on Steam and Game Preview on Xbox One. 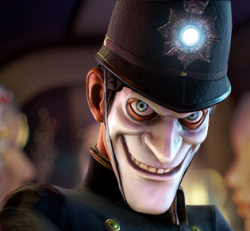 We are looking for an experienced Level Designer to come and work with us on We Happy Few, an award-winning, dystopian 1960s survival game about escaping from a delusional English society that is completely obsessed with happiness. In the context of the project, you must be able to quickly assimilate our existing narrative, design and features to generate compelling moment-to-moment experiences that marry the game's narrative with its core mechanics. You are at ease working with all disciplines in game development. The position of level designer includes but is not limited to: - Understanding and improving game systems and mechanics. - Evaluating and reviewing existing blueprints for stability, coherence and standardization. - Extending and enhancing, or designing from scratch, the moment to moment gameplay for procedurally generated or story-specific encounters/missions. - Participating as part of the design team to evaluate and improve the game as a whole through constructive criticism and creative contributions. Strong technical skills (working with Blue Prints and/or Scripting) - A good sense for layout, locomotion, player pacing and gameplay. - Be self-directed and self-motivated to learn on your own. - Creative minded; capable of designing narrative-rich experiences. The ideal person for the job would: - have a minimum of 3-5 years of industry experience working with the Unreal Engine, - have a strong understanding of UX design principles and practices, - play games regularly and understand the fundamentals of what makes them work, - enjoy and thrive at working with people in other disciplines, and - be looking to join a top-level and creative independent team. This is a full time role at our studio in Montreal, Canada. Salary will be discussed based on experience. If that all sounds like you, then we would love you to come and work with us. Please send us an email at jobs@compulsiongames.com, including a CV and examples of recent work. Thanks, we know the Faraday quest has some bugs and we're working on them. Please keep providing feedback. The environment and loot are procedurally-generated, so are the in-game quests, this is why the bridge was replaced by another one during your second play through. We are working on the different bugs to improve your experience. Please keep providing feedback. Thanks, we're aware of the issues and are working on them. Keep providing feedback. Thanks for letting us know. We had AMD run some tests and it was working fine but we'll still investigate your suggestion. Thanks for the feedback. We'll have a look at it. Thanks for the feedback. Let us know if you have other suggestions. Sorry for that, we're working on how to fix it. Unfortunately, yes, you died of the plague. You can see the red icon. You have to find ways to cure it in the game. Thanks for the feedback, we'll be looking into it.